Beautiful page! It's so cool that you have those old photos. Love the colors you chose for the black and white photo, so pretty. How nice that she wrote info on the photo. I don't think many people did that back then. Such a gorgeous layout, and I love that you're using your old photos. Such a very sweet layout! It's wonderful that you have your grandmother's notes and photos and that you're using them! Gorgeous! I always love your heritage layouts, this is so beautiful. This is so beautiful! I love the colors and patterns you chose! 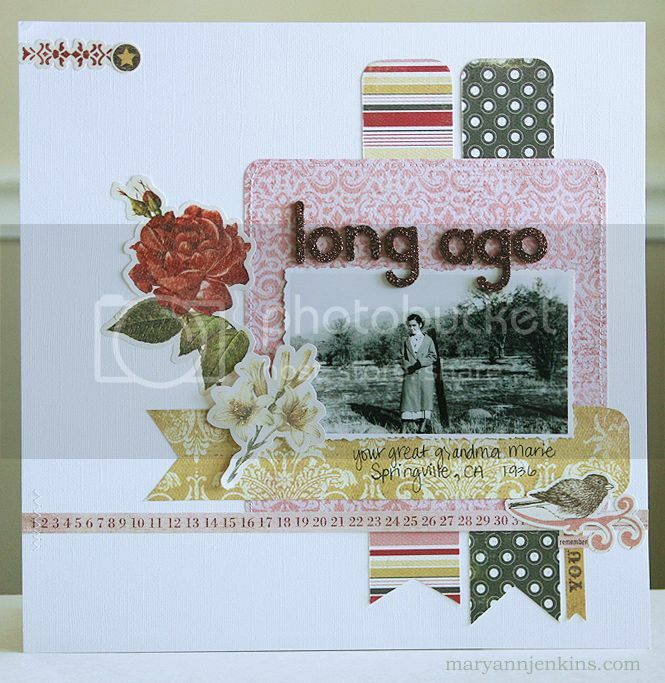 Gorgeous use of the CB, Mary Ann!! And I always love seeing your beautiful Heritage layouts! I love the way you used the banners. another gorgeous layout! Love your work.